It's all well and good to dream of that extra space your new addition will give you. It all seems so easy. After all, how hard can it be? Someone else does the hard work. You only have to deal with cool stuff, like talking to the architect and picking out fixtures. It all happens outside of the house. No restless work crews roaming around your house, using your bathroom, or eating off of your good dining room table. The reality of addition building goes far beyond that. 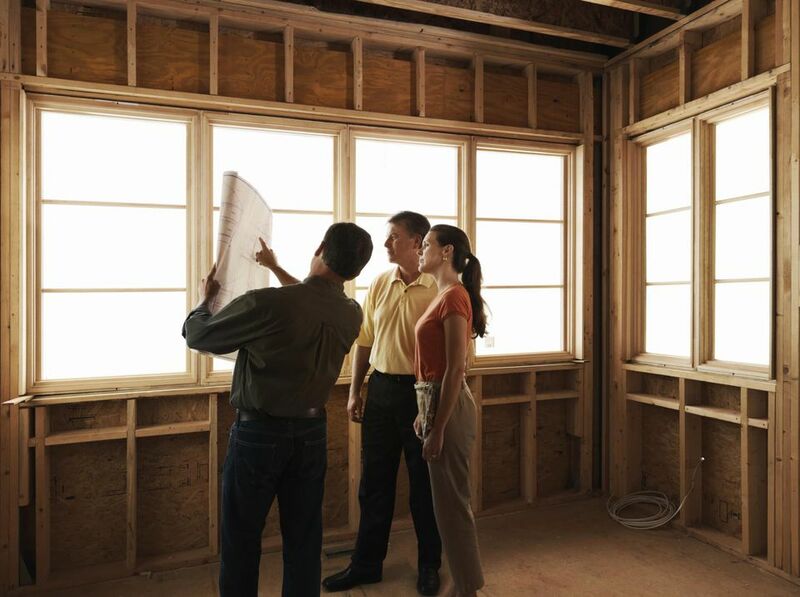 Since the timeframe is so long, and because so many complex details are involved, it is not quite as easy as ordering up an addition and waiting for it to be finished. The Fallacy of the Addition "Breakthrough"
When we built an addition, we imagined that everything would happen outside of the house, leaving us clean and dust-free indoors. We imagined that the only moment of dust would be that equally triumphant moment called the "breakthrough." The "breakthrough" was unknown to us before we built an addition. In theory, the addition is supposed to be built up against your house (at least in the most common example), and only at the last minute would the contractor punch a hole between new and old. It's a nice fantasy. What really happens is the "breakthrough" occurs a number of weeks before the addition is finished. It takes a long time for the work crews to finish off the passageway or door, connect HVAC, electrical, plumbing, and otherwise mate the new addition to the old house. An addition is much more than just a box glued to the side of your house, after all. It is supposed to be integrated into your house. This just pertains to a ground-level addition. Can you imagine how upset your life will be should you put on a second-story addition? Even long before the breakthrough, various people need to come into the house. For instance, at the least invasive level, you will certainly be meeting with the contractor in your house, simply because you need a place to do business. Then, the electricians will need to check out your electrical supply, and by the same token, the plumbers will need to check out water supply and drainage. Don't forget city and county permitting agencies, HVAC crew, and the painting foreman. Then, you begin to see that subs do not hold down regular 9-5, Monday through Friday work hours. Often, they will show up on Sundays or Saturdays, or their work hours will spill over into the early evening hours while you and your family are eating dinner. When you sign the contracts on day one, certain provisions will be made about late hours, noise, weekend work, and so on. If you have any sense of urgency about the project, you will waive any provisions about work-free weekends. After all, did you really want this project to go on until Christmas? Be prepared for subs taking you up on your offer. It's not their fault. They are independent businessmen, and they need to do work whenever they can squeeze it in. If some desperate homeowner lets them work on Saturdays, then by all means, they will do it. Additions take months. Not weeks or days. You let one crew member into your bathroom, and soon they all would rather use your fine porcelain than the portable toilet outside. You begin to tolerate slow return calls from the contractor. You begin to compromise on design features you were originally so adamant about. When you begin to let work crews into your house, you wish to maintain some level of decorum and privacy. As time goes by, you find yourself letting down your guard, and you will be surprised at how far down you let it drop. Be prepared for how much addition-building will upset your life, and how it might strain marital, paternal and maternal relationships. It's all true, so be ready for it!